The ultimate option for serious radiation protection storage. 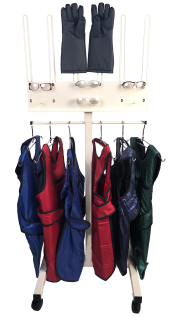 This versatile rack holds 6 aprons, 3 pairs of gloves, and 6 pairs of radiation protection glasses. 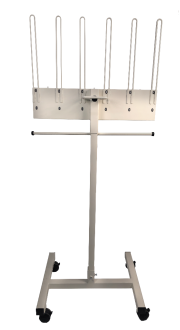 Comes with 6 heavy duty apron hangers for quick apron access. Durable all-steel construction. A 24" deep by 28 wide” H-base offers stability and easy cleaning. Features E-Z Roll, 3” medical grade swivel locking casters. 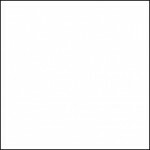 White baked enamel finish. Overall height is 79”, width is 30" and depth is 24". The perfect height to hang aprons avoiding damage from crinkling. Soft rubber rings and 6 high grade mounts create the ultimate protection for radiation glasses at all times.